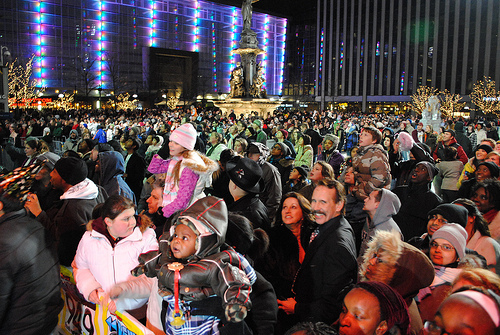 2010 has been a monumental year of sorts for Cincinnati’s urban core. New residents and businesses have been added, major construction projects have moved forward, and new major investments have been laid out and are on the horizon. While UrbanCincy has been able to cover many of these items throughout the year, but some have also gone uncovered. With one year ending and a new year about to begin it seems only natural to reflect on where things have been, and discuss where they might be headed. So while the UrbanCincy team is proud of the work we have been able to produce, we know we could and should be doing much more. If you have any thoughts, recommendations, or services you would like to offer that might make UrbanCincy better please let us know in the comment section or by emailing UrbanCincy@gmail.com. As the driving force behind UrbanCincy since its inception I can make the following promise to you. UrbanCincy will continue to change the conversation about Cincinnati’s urban core. This will more than likely include some changes beyond the typical evolutions of the site. Please be patient as these changes happen, and please keep supporting Cincinnati’s great urban core. Enjoy this holiday video put together by the Cincinnati Center City Development Corporation (3CDC). Happy New Year! You will next hear from us in 2011.